Reliance forays into Financial Services by Picking Stake In AXA Insurance! Reliance Industries has long been the stalwart of the Indian Stock Markets. Some noted authors have often said that no one used the stock markets for raising capital better than Mr. Dhirubhai Ambani. However, Reliance has not fared really well at the stock markets in the recent past. Mukesh Ambani led Reliance Industries even missed the analyst expectations this time and the stock has been trading in red for quite a while. The core oil and gas business of Reliance Industries though as robust as ever is showing signs of slowing down and with the non-compete period over between the brothers, Mr. Mukesh Ambani seems to have set his eyes on the financial services sector. It is also noteworthy that Reliance had a few months earlier struck an agreement with $20 Bn hedge fund – D.B. Shaw to start a stock-broking and private-equity business in India. By picking up the stake in AXA, Reliance will also add the lucrative general and life insurance capabilities in its financial services portfolio. From Bharti’s perspective, selling the stake makes sense as there is very little synergy with their core businesses. Moreover, after buying out Zain, Bharti must be feeling strived for capital and with the proceeds from this sale, they will be able to infuse some capital in their core operations. What will be interesting however is to see how Mukesh Ambani led financial services arm fares in the market. With Anil Ambani already going strong in the Financial Services segment, comparisons will definitely be made. The elder brother seems to have a flair for doing things king size and given the seriousness and investments in the financial services business, this will be one interesting company to watch. So, what do you think of this takeover ? You running a Small IT services company ? Read this! Retail Shakeup: Alibaba Can Invest In Reliance Retail; Amazon Can Acquire More! I had this pent up anger towards all public sector and major industrial groups while coming to ‘Core business’. Nobody seems to have any concrete concept of what is the purpose of their company in the whole picture of Indian industry. To over simplify the facts mentioned by Ankit and Mridul, just take the case of the article. RIL and its subsidiary RIIL will hold 57 and 17 % stock. Now tell me what RIIL whose core competence is in Infrastructure doing in Insurance business? This is nothing but taking a chance where ever there is money. People can ask me ‘whats wrong with taking advantage of opportunities in business when you have money?’ Well, that is called viable business opportunity. It is not called Core business. Now they justify by saying OK it is diversification. How long can they keep giving excuses? No single company is doing what it is meant to do. People will ask me the final question ‘Whats wrong in it’ Is NTPC prohibited from entering Hydro power? Is NMDC prohibited from Steel production? Is NHPC prohibited from Nuclear power? If a question is so tasteless I have no answer. The question is missing the essence of the company’s creation. Few months back during our debates, me and Viral were debating this subject. May be it is time for some one to write an article on company core business policy, diversification, how in the name of diversification companies which are supposed to sell software enter restaurant business, steel company enter casino business, oil company enter trading business. RIL may face stiff competition in Insurance sector. Other 30 % Market Share. RIL have tough road.First RIL have to face his brother anil ambani who have 9% market share.Another big challenge is LIC india .Things are not easy for RIL. As RIL deflecting from his core business and want to get some profit from other sector but all these may effect on RIL shares. It may drift upto 800 price level. Instead of the business in the virtual world (banking, insurance, telcom, ciniplexes etc) I would like to see Reliance in Brick and mortar industries. Not that they are not there. Mukhesh’s Reliance is into Petrochemicals, Refining etc. Anil’s Reliance is into Power, Infrastructure etc. What I mean is they are absent from the ever green business of Metals without which the world can not survive. Like for example, Steel. India needs steel in huge quantities. We have iron ore, coal, dolamite reserves. All that is required is coking coal. 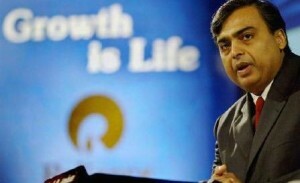 If RIL enters steel, they can make big impact not only in India but internationally. RIL has such knack of creating things that if they enter Steel business, they can wipe out the deficiency in special steels. Instead of importing Special steels, we can compete with China and export it. Like for example, Aluminium. We have huge reserves of Bauxite. All we need is huge power capacity. Only RIL can manage such huge logistics. I somewhere that Mukhesh had the dream of making Reliance the leader in telcom and Relcom was his dream project which unfortunately went into Anil’s fold after seperation. However I would like to say, anyone with cash can create, manage and grow telcom business. But to create assets in Steel, Aluminium, fertilizers, Power, Mining, we need the might of Reliance. By might I mean cash, capability to execute huge projects, capability to get favorable decisions from govts, capabilities to rope in forign technical partners etc. Only Reliance can do mighty things.